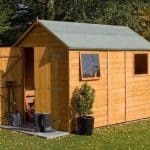 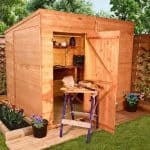 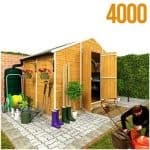 This is a compact wooden shed with overlap cladding for strength and durability. 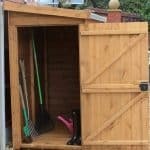 Complete with a single fixed styrene window and a side door there is ample space inside for garden equipment, garden furniture and toys. 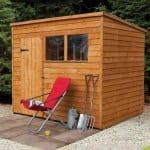 It is a soft wooden timber in an attractive honey shade. 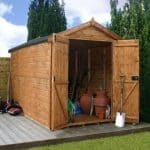 With an attractive garden roof it is an out building to be proud of and the anti-rot guarantee means it will last for many years. 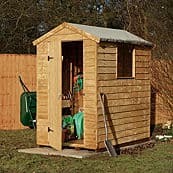 For convenience this is delivered to your home with the base.